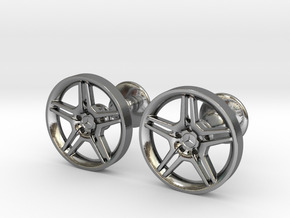 Classic Porsche Fuchs inspired wheel cufflinks, for the true Porsche enthusiast! 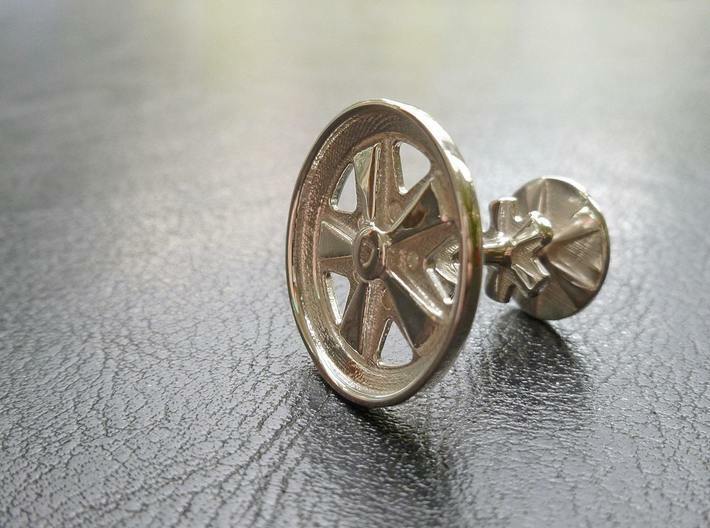 Cufflink diameter: 20 mm. 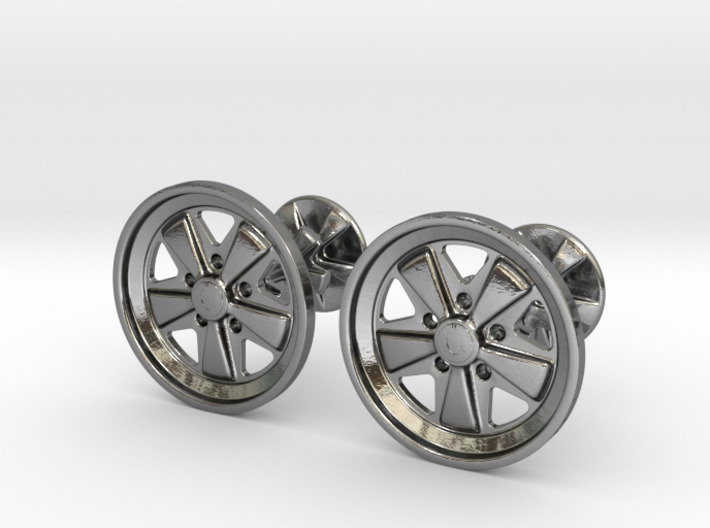 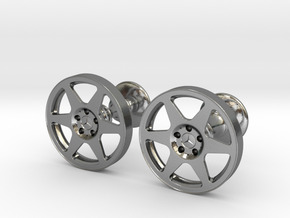 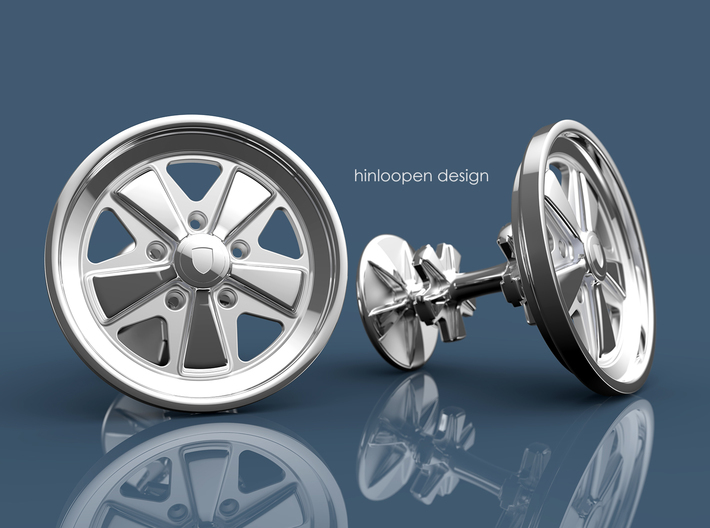 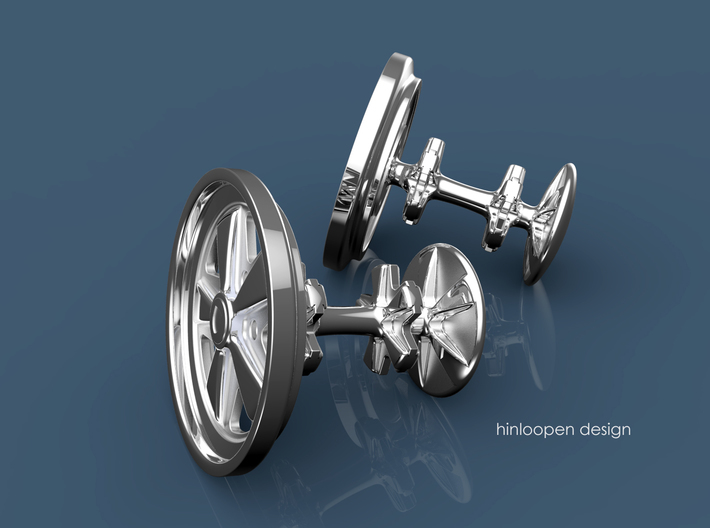 These wheel cufflinks have been meticulously and accurately modeled after the original wheel specifications and many detailed pictures. 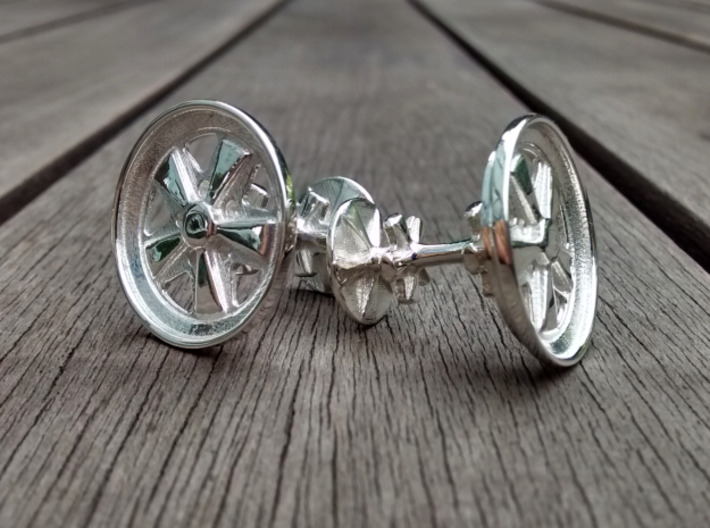 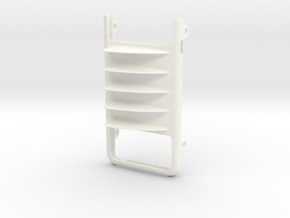 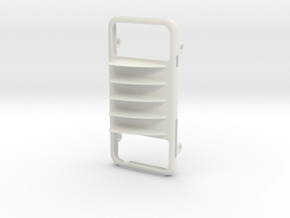 The stems have a somewhat circular profile, sprinkled with some extra Fuchs flavour, so the wheel can actually be revolved when worn! 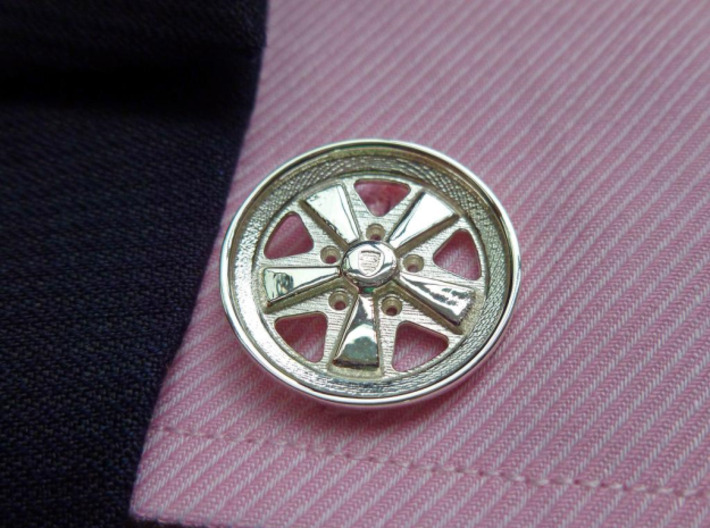 Show your passion for Porsche, and distinguish yourself at formal occasions!